De ingang van deze begraafplaats. Het plan van deze smalle begraafplaats. Een zicht naar de ingang toe. 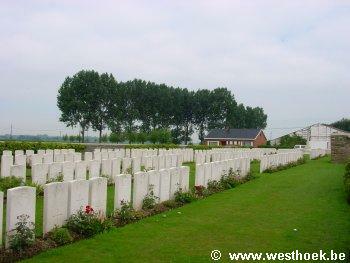 The cemetery is located to the North West of the town of Ieper near a village called Brielen. From the station turn left and drive along M.Fochlaan to the roundabout, turn right and go to the next roundabout. Here turn left into M.Haiglaan and drive to the traffic lights. Straight over the lights and follow the N8 direction Veurne. Through the village of Brielen and for approx another 1km to the first turning on the right past the farm. This is a street called Kapellestraat, into this street and the cemetery is approx 500 metres on the right. 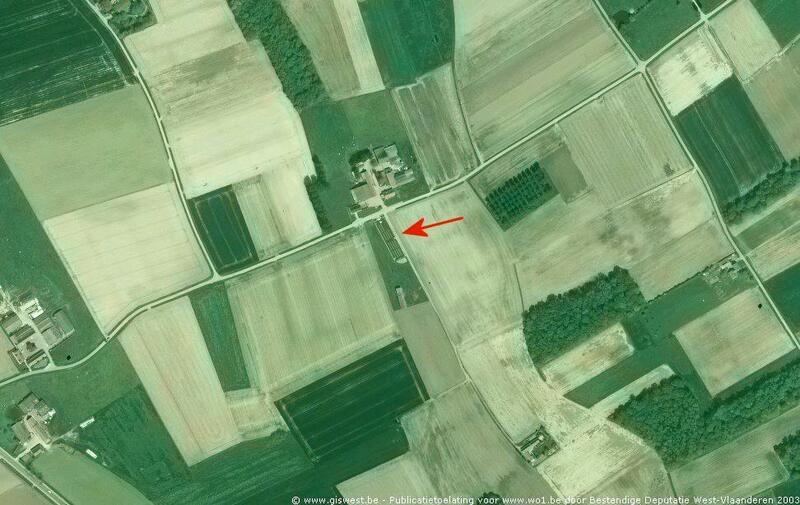 Solferino Farm was given its name by French troops who held this part of the line early in 1915. 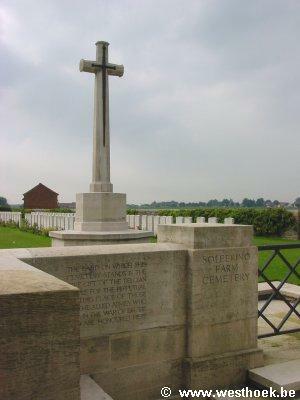 The cemetery, which is opposite the site of the farm, was begun by Commonwealth forces in October 1917 and was used by the units fighting in this sector until August 1918. 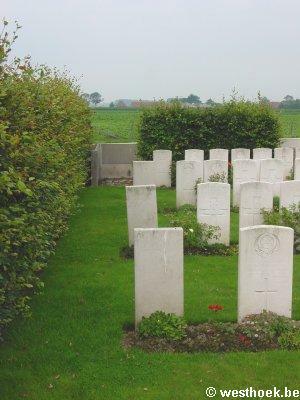 The cemetery now contains 296 Commonwealth burials of the First World War and a small plot of three German war graves from this period. 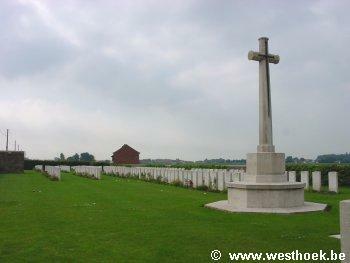 There are also five burials from the Second World War, dating from the Allied retreat to Dunkirk in May 1940. The cemetery was designed by Sir Reginald Blomfield.